Barreled at less than 125 proof for 2 years in new American Oak Charred Barrels, then cut to 60 proof using our private crystal clear water source with natural Brown Sugar and Cinnamon flavors added. 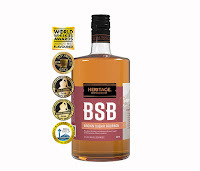 Heritage BSB High Altitude Brown Sugar Bourbon 103 Proof....$25.99Corn/Rye/Malted Barley mash. 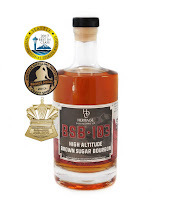 Barreled at less than 125 proof for 2 years in new American Oak Charred Barrels, then cut to 103 proof using our private crystal clear water source with natural Brown Sugar and Cinnamon flavors added.